The CANNON is made to mount in a boat. 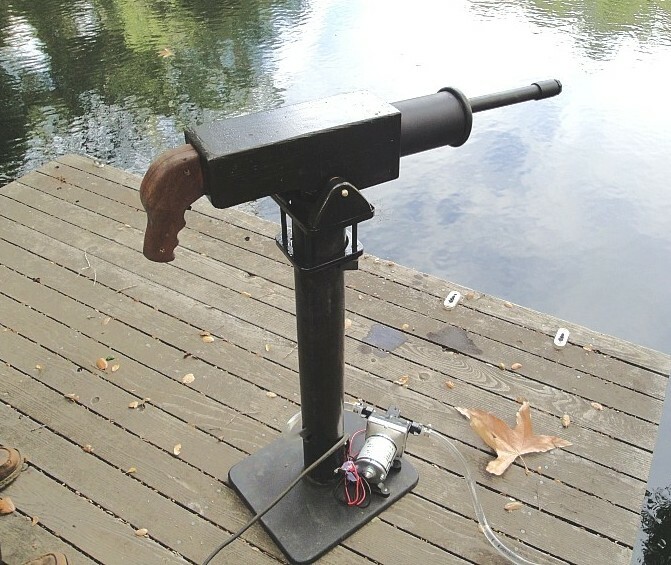 It spews forth a jet stream of water that is pumped from the floating body by a pump, common in both boats and RVs to supply water to fixtures. 26" long (can be varied) x 7" x 5"
Squirt away and have fun. 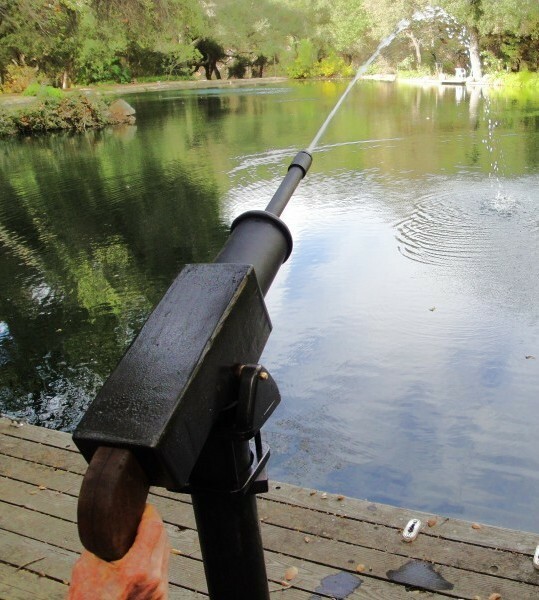 Water cannons have proven to be very popular on our "kids" boats such as the TUBBY TUG. Come to think of it, some of these 200 pounders that are using them ain't kids in the true sense; perhaps in heart? In any case, being able to shoot a stream of water for some distance is but another way to enjoy boating. 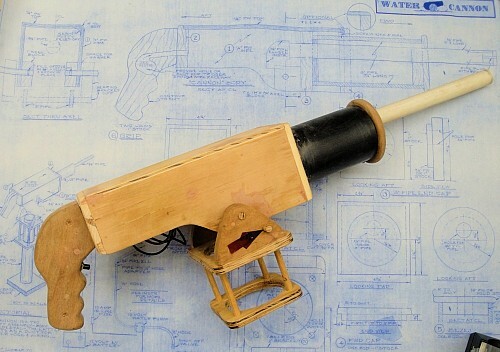 And, we have created a Water Cannon that is simple and relatively inexpensive to build, most of the wood should come from your stash of stuff too good to throw away. Yes, you will need a pump such as used in RVs and boats to supply water to the various fixtures plus some pipe and fittings. The pump runs on 12 volts DC direct from the motor battery or a separate one dedicated for the pump only. The plans are actual size and can be used as patterns although each part is fully dimensioned. We've divided the plans and instructions to cover both the "cannon" upper part and the "pedestal" that supports the cannon and enables it to rotate and change the trajectory. As usual our instructions take you through all phases of the building. It's a weekend project that'll provide fun for all during those hot summer days. "Water Cannon" in use--watch out!